Animal welfare organizations are popping up everywhere in Vietnam as the animal rights movement takes hold here. These organizations are often managed by young, passionate animal lovers who, while being extremely enthusiastic, lack practical knowledge of running an animal shelter and adoption program, managing the administration and finances of nonprofit work, and reaching out to the public as voices of the animal rights movement. These groups do not have access to administrative capacity building resources as the Vietnamese government will not register animal welfare groups as nonprofit organizations. Animal rights activists here have little access to the literature on the dominant theories and methodology of animal rights and without any role models for effective advocacy in a country with such a socially and politically repressive government, understanding the process for making change is extremely difficult. Organizations are left with handling an overwhelming number of rescue cases and being stuck in constant financial struggles to take care of the growing number of rescues for which there are no homes. Since most organizations are not in cities with good veterinarians, care for these rescues is very limited. Only with intervention from organizations that can host shelter management/pet care workshops, carry out site visits for shelters, and provide training on animal rights advocacy and community outreach can we hope for the organizations of Vietnam to be able to move forward and make change. 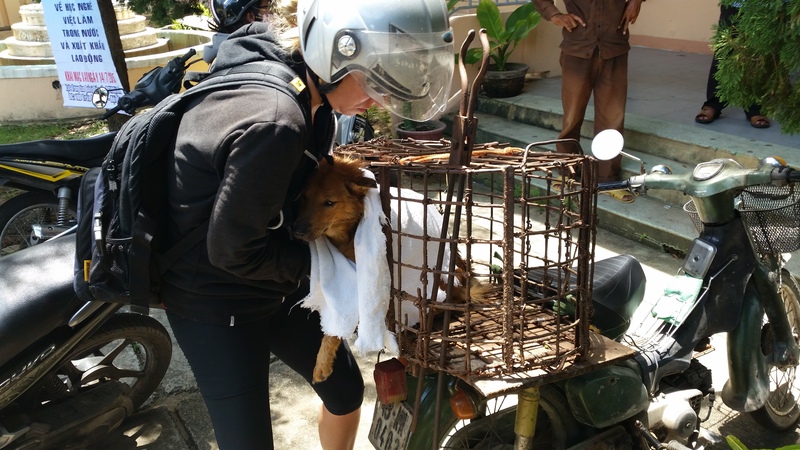 Until the grassroots movement for animal rights can manage itself, those with more experience need to provide all the help we can to get them on their feet to be the voice of animals in Vietnam. Once these activists learn how to manage volunteers, hire and train staff, and professionalize their work for animals, big changes will take place. While they are all drowning in the daily rescues, it is hard to make any headway. We strongly believe that the Vietnamese organizations can and will be able to make huge changes in the way animals are treated if they have the right tools and support to do so. It is their country and their culture and they can and will be the leaders of the next generation of animal rights activists to push through legislative and social change. Where foreign organizations are limited in cultural competency and existing networks of influential people in the country who can push through grassroots initiatives, the local organizations will excel. Through education programs for local organizations and site visits to shelters across the country for training workshops, we have provided ongoing assistance to local organizations in order to help them advance their mission. We are working towards building up this grassroots social movement with respect to all species, not just companion animals, because the end of animal abuse and exploitation will only come when professional animal advocates address the exploitation towards farm animals, wildlife, and pets.